Tonight Only: Startup Reykjavik Open-Party: Be the inspiration. Startup Reykjavik is hosting its last BBQ and Beer event before Investor Day. They are opening their doors to all the entrepreneurs (and wannabe entrepreneurs) in Iceland, and beyond. It is all about inspiration and networking, and embracing the opportunities which entrepreneurs can discover and create in a friendly and informal setting. Dr. Ari Kristinn Jónsson, Rector of Reykjavik University, will host the BBQ… and has promised to use some of his patented NASA techniques to create a fun atmosphere. Brad Feld, the legendary investor at Foundry Group will be on Skype at 16:00 to discuss the love-hate affair between entrepreneurs and investors. Nordic Innovation-Klak is launching a new issue of Nordic Innovation. Interviews with Brad Feld, Brad Burnham, Andrew Zolli, and Norris Krueger, and a section about the Startup Reykjavik teams can be found in the new issue. 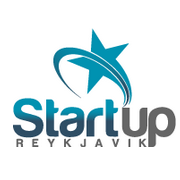 There will be loads of singing as one of the companies in Startup Reykjavik is the Guitarparty of Iceland. And surely the Startup Reykjavik Choir will be in tune. Come and meet the Startup Reykjavik gang and become part of the family, the saga, and prepare to be inspired and inspire others.